Who Am I? I'm SpiderHoo! 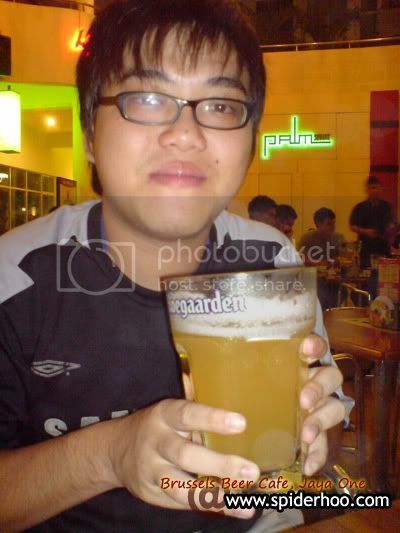 : Happy Birthday to my buddy, Hui Giap. Happy Birthday to my buddy, Hui Giap. 9th of June is a day that i cant forget in my life. That's the birthday of my best buddy Hui Giap. Since i'm working now, so i only able to celeb with him after my work. I buy him a drink at Brussels Beer Cafe. 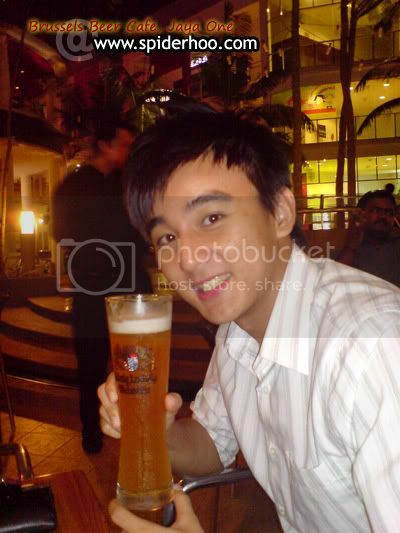 He never drink the Hoegaarden beer before, so i intro him this. And i having another one which i never try before. Taste not bad but cant remember the name already.